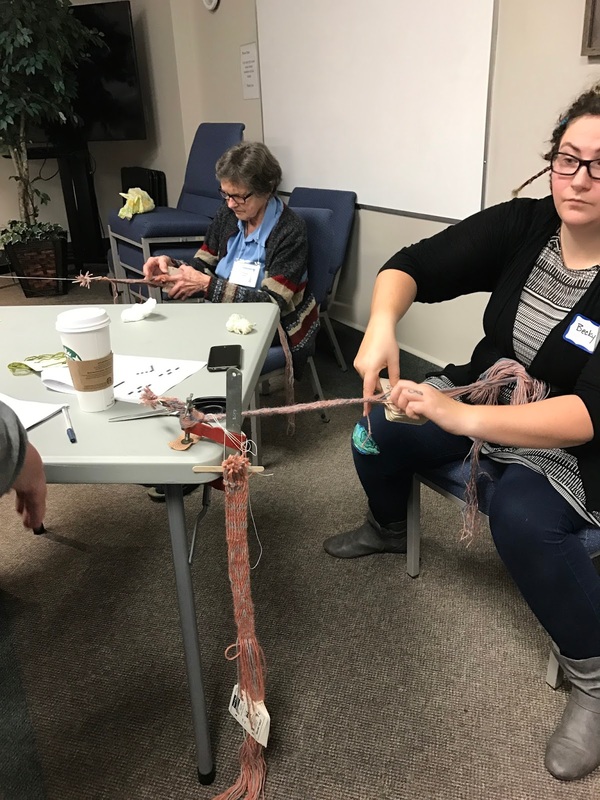 The goal of our Guild is to promote Fibre Arts through sharing knowledge with each other and encouraging interest in our crafts throughout the community. The Deep Cove Weavers and Spinners were pleased to have Brenda Nicholson visit our Guild and give a talk about Tablet Weaving. Tablet weaving is a centuries old tradition for making strong, narrow bands. 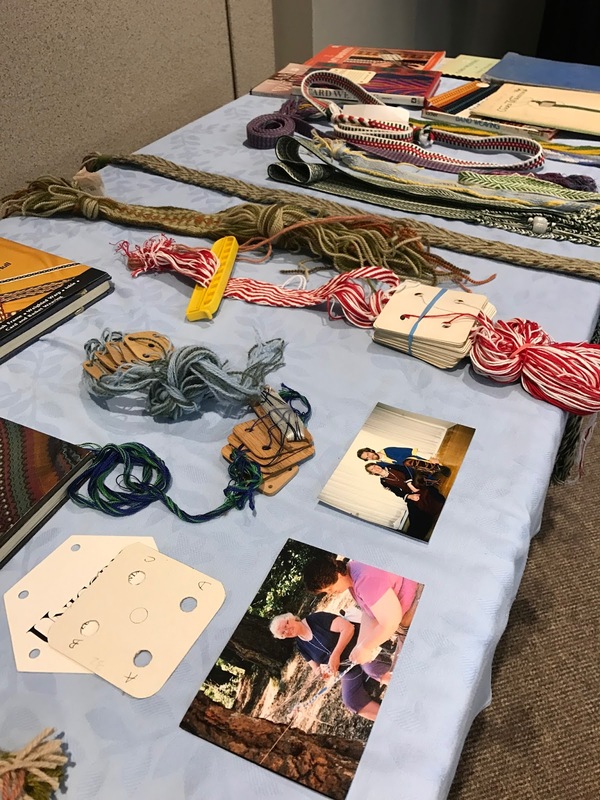 There have been examples of tablet weaving found dating back to the 6th Century BC in Germany, and on all continents except Australia and the Americas. Early tablets were made of various materials including wood, bone, fish skin, leather and parchment. This ancient craft has survived the test of time and is still practiced in many parts of the world today. 'Modern' tablets are often referred to as 'cards' and usually made of heavy cardboard in various shapes. The cards are punched with holes and set up with threads through each hole. Turning the tablets/cards twists the warp ends together and changes the shed by raising and lowering the ends in rotation. 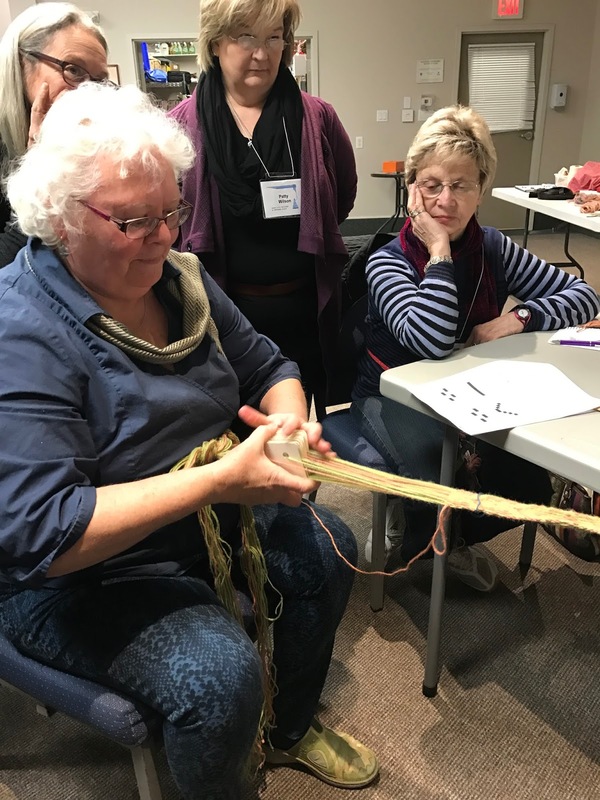 In the afternoon Brenda held a workshop for some of our members. She provided us with a set of cards which were 'pre-warped' and we were strapped in and anchored to a table. After some basic instructions we were weaving our sample bands. It was an enjoyable afternoon and interesting to learn this weaving technique. Thank you Brenda for your patience and instruction. 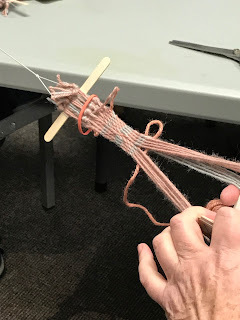 The Deep Cove Weavers and Spinners Guild serves the Saanich Peninsula of Southern Vancouver Island. Our members are committed to keeping the traditional crafts of spinning and weaving alive while expanding our knowledge and exchanging ideas on a variety of Fibre Arts. Meetings are held every Tuesday from 10:00-Noon at The Shoal Centre, 10030 Resthaven Dr., Sidney, B.C. Sept.-June. Annual membership fee is $65. 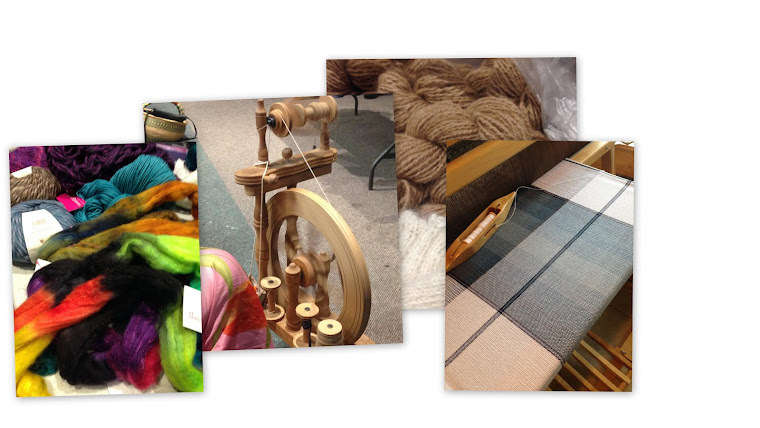 We encourage anyone interested in Fibre Arts to drop in and see what we are up to.